Roy Wheeler Realty Co. MLS# 588940 - 4 Paige St, Waynesboro, VA 22980 - Roy Wheeler Realty Co. Courtesy of ROY WHEELER REALTY CO.- CHARLOTTESVILLE. TO BE BUILT Caldwell plan 1,806 finished sq. ft. on full basement. Owners & secondary bedrooms on the main level. HW in foyer. Tile surrounds in all baths. 42 maple cabinets, granite, island, black appliances. 9 foot ceilings and cased low-e windows. 15 SEER HVAC and programmable stat. Opt loft/bedroom and with full bath up. Opt rec room, den/bed, bath and flex space in lower level. 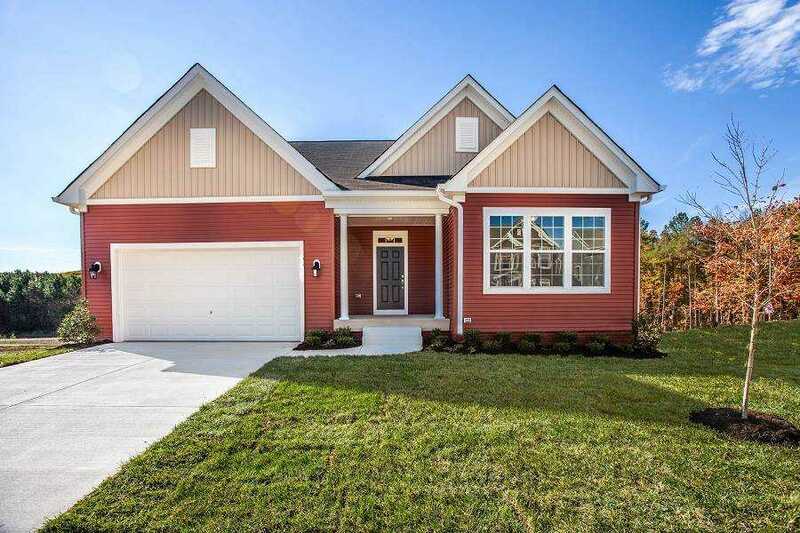 PHOTOS ARE OF A SIMILAR HOME 1/2 Off Options up to $30,000 (discount up to $15,000) PLUS up to $7,500 in closing cost assistance with the use of Atlantic Builders preferred lenders and title company. No model at this location, homes to preview in Spring Creek. Sales office located in Spring Creek, 910 Bear Island Pkwy., Zion Crossroads. Directions: From Rt. 64 take exit 94, to Rt. 340 north, then left on Lew Dewitt Blvd. At second traffic light turn left on Bryant Drive to Pratts Run. See remarks for sales office location. No model at this location – homes to view in Spring Creek.